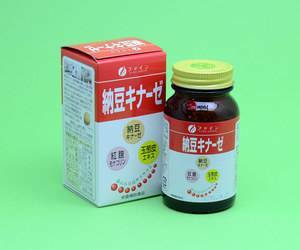 This product combines Morinaga Milk Industry's lactoferrin, and Suntory's xylooligosaccharide. 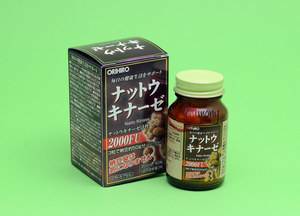 It is recommended for those who are concerned about constipation or those who want to regulate their digestive system. 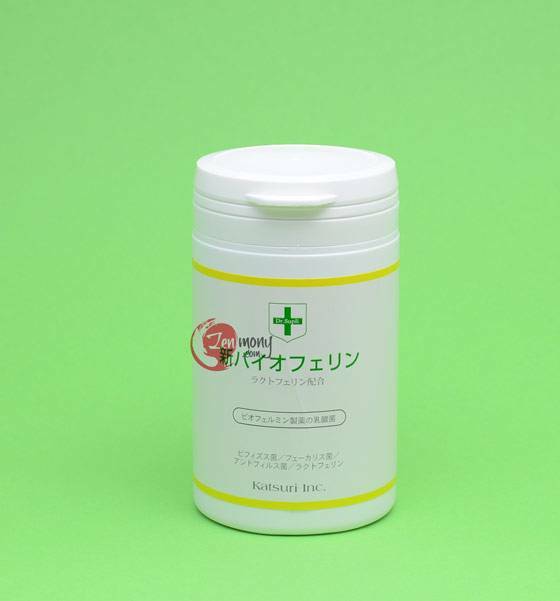 Three types of good bacteria (lactic bacteria used in this product is produced by Biofermin Pharmaceuticals Co.,Ltd, the leader of lactic bacteria medications in Japan). Lactic bacteria in New Bioferine is resistant to the gastric acid and is capable to survive through its way to intestines where it can adapt to the new environment. 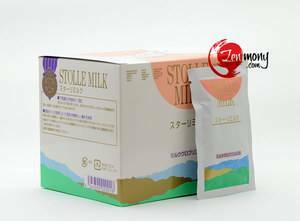 Lactoferrin, the protein contained in extremely small quantities in milk was discovered in 1939. Because it has a reddish color it is often called the "red protein". It is plentiful in the mother's milk. 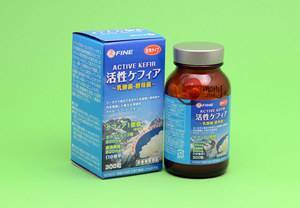 Lactoferrin plays an important role of supporting the natural immune power of the body and sustaining an environment where good bacteria can live. Xylooligosaccharide is produced when xylan, a type of the plant fiber is decomposed with the help of ferments to oligomer. It helps revitalize the good bacteria in human intestines. Oolong tea extract is useful for removing the bad smells coming from the stomach and for keepeing the inside of the mouth healthy. Suggested Use: Take 2 sachets (1.6g) daily with cold or lukewarm water.